When this best-seller was published, it put the mother-daughter relationship and female psychology on the map. 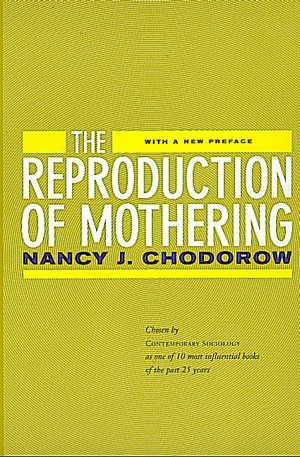 The Reproduction of Mothering was chosen by Contemporary Sociology as one of the ten most influential books of the past twenty-five years. With a new preface by the author, this updated edition is testament to the formative effect that Nancy Chodorow's work continues to exert on psychoanalysis, social science, and the humanities. 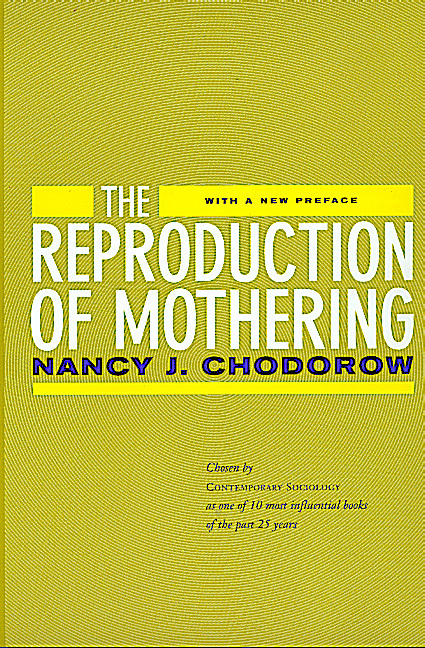 Nancy J. Chodorow is a psychoanalyst in private practice and Professor of Sociology at the University of California, Berkeley. She is the author of The Power of Feelings: Personal Meaning in Psychoanalysis, Gender, and Culture (1999), Femininities, Masculinities, Sexualities: Freud and Beyond (1994), and Feminism and Psychoanalytic Theory (1989).